At a loss for what to read next, I asked Amazon for some dystopian books. It pointed me in the direction of Divergent. I was late to the party. Insurgent (the sequel) had already been out for almost two months and the series had a dedicated fan following throughout the web. I decided to check it out and within a few hours I'd been pushed into a hermit-like state which didn't end until I had finished both novels. I really liked Tris. From the opening pages I felt in some ways I could relate to her. It soon becomes obvious she's a very complex character, very strong willed and feisty, yet also anxious and vulnerable. Her growth throughout the novel is awesome to watch and you're left wanting to be best friends with this crazy teen. Tris is backed up during the book by new friends Christine, Will and Al. While they may not all have the best intentions, they create a great dynamic within Tris' life. Tris becomes a reasonably strong protagonist – though the process of getting her to that point DID feel a little slow. But to be honest, I liked the fact she was weak, ‘stiff’ and undefined in the beginning; it allowed the audience to see her transformation. Then there is Four. You couldn't possibly forget Four. He is the teacher of the new initiates of the faction Tris chooses. He puts them through their paces, watches over them, and does his best to intimidate them. He is oh so dreamy, oh so strong, dark and brooding, and yet behind the tough exterior you see there is a lot more to Four than you could possibly imagine - like his real name, why he is called Four, and where he originally came from. Four is brave, yet he has a strong moral compass so he is not needlessly reckless like some of the other instructors *cough ERIC cough*. He is not the type of character you will like from the moment you meet him. In fact, you might despise him just a little bit at the start. Give him a chance though, he's worth it. I loved the world building of this novel. It really intrigued me and I wanted to know more about it. I wanted to go and experience this world and to understand how it got this way. I couldn't quite wrap my head around why (most) people managed to fit so neatly into only one faction of society in the first place, but I do like to take everything with an 'anything is possible approach'. This world is so different than our current society. We all hope to be honest, selfless, brave, peaceful and intelligent - but most of us aren't. At least not all the time. Can you imagine a world where you have to abide by one of those virtues every minute of your daily life? Your whole existence would be devoted to that one virtue. It's quite thought provoking, isn't it? That's why I love this world Veronica has created. It really makes you think about humanity and what we've become as a society. The book does start off a little slow, but the pace soon takes off and you’re left feeling like you’re on a train that’s hurtling forward towards the finishing line. A few things that I didn't like about the book - I felt the true definition of ‘brave’ was hugely blurred (this was potentially intentional, but if it was that was unclear) and some of the characters felt extremely one dimensional to the point that you really didn’t care about them. I also didn't like how in one particular scene Tris talks about how she feels powerful when holding a gun. Wasn't a huge fan of that, but after reading the sequel it was possibly necessary. In saying all this, I still found it to be a really great book and wasted no time in recommending it to all my friends. If you're not the type to pick a book to pieces and have the ability just to sit back and enjoy the story, I think it’s a really great read. I should also mention the author, Veronica Roth, conceived the idea while she was still at College. She is 24 and already a bestselling author which is obviously a huge achievement. While the writer side of me is jealous that she’s totally and completely living my dream, I’m so happy for her and the success is completely deserved. 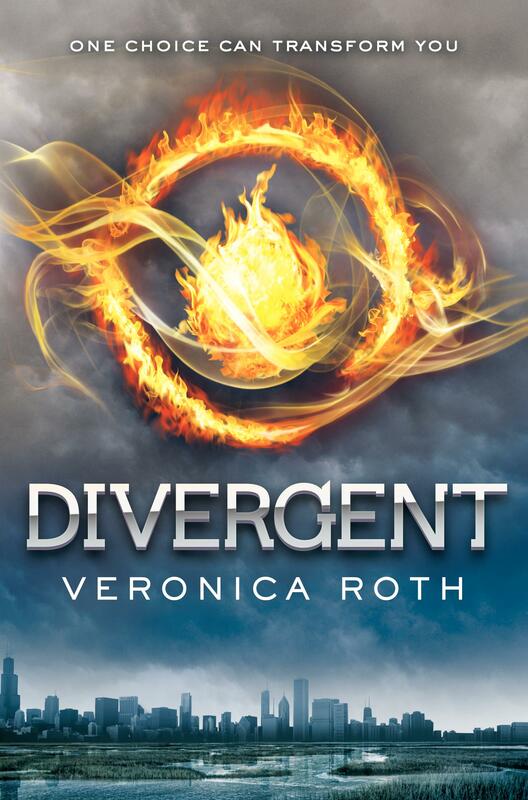 The third book in the Divergent series comes out in Fall 2013, and I’m eagerly waiting its release! So after all that I give Divergent 4.5 stars. It's not quite 5 stars but it's as close as you can get. It's one of my favourite books this year and I highly recommend it! And I like the way Veronica world-builds: not with lots of exposition, but along the way, through description and dialog.